Love Scrapbooking? Find Great Ideas Here! 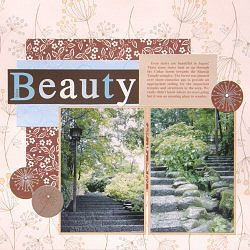 Scrapbooking is a fun, relaxing, stress-relieving activity. If you're a beginner or someone who is well on the way in creating scrapbooks, here is an offer to make it easier! 500 Sketches to guide and give you inspirational ideas for each page. Let your creativity shine like never before using this super program. There are bonuses as well to make Arts & Crafts even more fun! Please visit my site for more information.